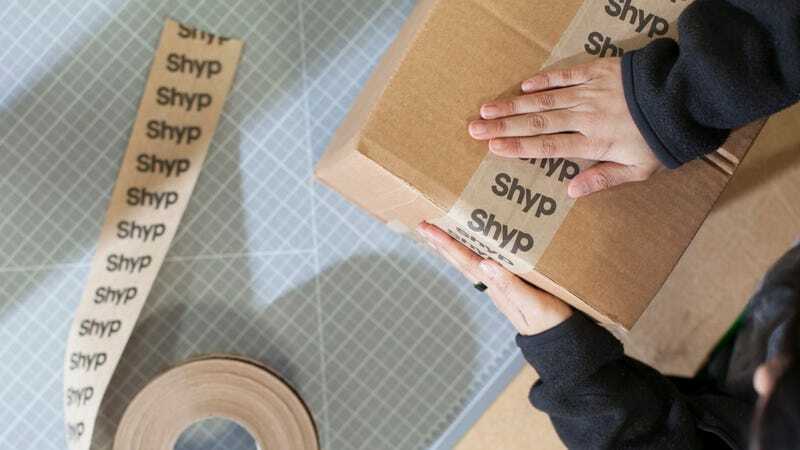 On-demand package delivery startup Shyp, which offered to take care of the entire packing-and-shipping process for customers in exchange for rates ranging from $5 to more than double the cost of just going to FedEx, announced it is going out of business on Tuesday. Shyp’s business model was simple: It negotiated deep discounts with package carriers and offered a flat rate of $5 for on-location pickups (and significantly more for those lazy customers who desired Shyp to package the items for them). Shyp then would hand off the packages to a delivery service like FedEx or UPS, the cost of which was also charged to the customer. It also developed services to handle things like product returns. So essentially, Shyp was a way for users to pay someone else so they didn’t have to stand in line at the post office. Uber, but for boxes. Per TechCrunch, CEO Kevin Gibbon wrote in a blog post that in chasing an Uber-like model, the company had fallen victim to a “growth at all costs” mindset that had turned into a “dangerous trap.” Its efforts to chase down consumers at scale in an era where retail giants like Amazon already handle logistics, as opposed to boring but potentially more profitable business customers, seem to have led it down the wrong road. In July, Shyp followed up on prior layoffs by downsizing again and cancelling operations in New York, Los Angeles, and Chicago in order to focus on business customers in the Silicon Valley region. Gibbon wrote that a late-stage partnership with eBay managed to raise revenue by 150 percent, but even though the company managed to break even “from a bottom line standpoint” by December 2017 “it wasn’t enough” to attract the investors necessary to keep the venture open. “Unfortunately, our earlier mistakes had left us with too little runway and insufficient resources to continue pursuing the new direction,” Gibbon added. In any case, Gibbons told the site he’s working on a successor product that is “One hundred percent technology, and no warehouses.” Though he didn’t offer many details, he did say the concept would spring from Shyp’s latter business-centric stage rather than its earlier worship at the altar of growth.